It is time to pull that dusty camping gear out of the garage, air out that musty tent and hit the road to do some camping in Oregon. Oregon hosts some of the best camping in the northwestern United States with its lush ancient forests and pristine Pacific coast line. The state hosts over 30 state and national parks in order to help preserve the wilderness that has made Oregon so famous. However, a single day is simply not enough to enjoy most of them. Luscious landscapes are interwoven with beautifully maintained campgrounds in order for visitors to have the best possible experience outdoors so they can both enjoy their activities and their stay. The beautiful and blustery Cape Blanco is located in Oregon's westernmost point just north of Port Orford and Humbug Mountain. The park only has one campground which is located in the forest just off the beach to protect from the wind; however a trek to the shore is just a short half of a kilometer walk. The campground is the starting point for many of the trails in the park, including the eight kilometer trail that loops around its borders. While Cape Blanco's wilderness is extensive the major draw for this state park is not a landscape, but rather a building. Every year, thousands of people travel to Cape Blanco State Park to tour the beautiful light house located on the beach and the historic Hughes House. This lighthouse was built in 1864 and was the first light house in Oregon to be outfitted with the first order Fresnel lens. Across the park, approximately a 5 kilometer hike from the campground is the Historic Hughes House, a preserved 1898 house of a pioneer dairy farmer. This house has been preserved as a part of history and is now filled with artifacts from the time period. What makes Cape Blanco State Park's campground one of the best in Oregon is its close proximity to the light house and the beach, it is not the most sun-soaked area in the world, but it is a beautiful example of the dreary coastal sea of the northwest. Paradise campground lives up to its name for those that like ancient forests and river views. This campground, located in the Willamette National Forest in Central Oregon, was originally built by the Civilian Conservation Corps in the 1930's. Since Willamette is a highly protected area, the campground serves as a rare opportunity to stay among its old-growth forests and alongside the famous white water of the McKenzie River. The campground is located about 30 kilometers east of Eugene but most people know the area not for the campground, but rather for the nearby, more commercially developed, Belknap Lodge. The lodge is nice, but the campground is better. Campers are treated to the serenity of nature, while still having the perks of the nearby Belknap Lodge. The campground has access to Belknaps biggest selling point, the hot springs just off the McKenzie River. It is roughly 10 kilometers away from the campground, but it is a fine reward for a hike. The campground also serves as an access point to the 20-kilometer long National Recreation Trail that traces along the McKenzie River through Oregon. 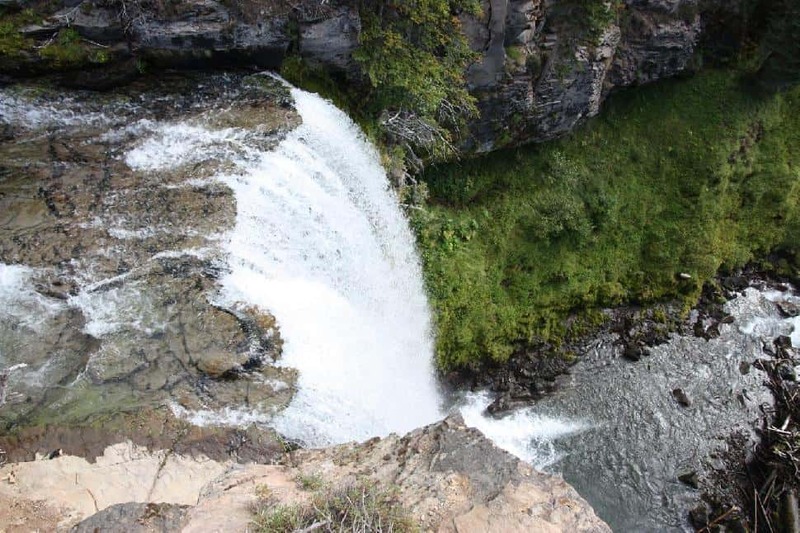 Tumalo State Park is nestled in one of the sunnier parts of Central Oregon alongside the Deschutes River. The state park and its lone campground are just outside of Bend, Oregon. It is close enough for campers to make a quick trip to the grocery store, but far enough away to avoid the general commotion that comes with civilization. 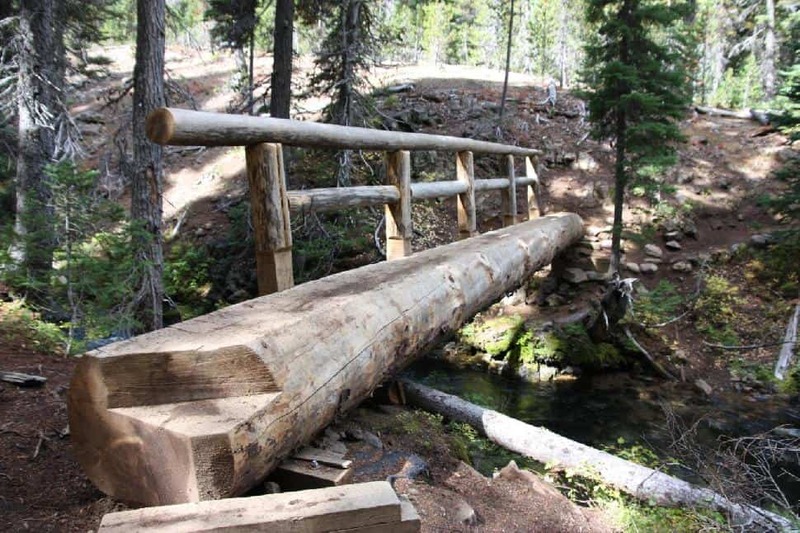 There is only one campground in Tumalo State Park, but it is centrally located to everything offered within. While they have ample sites for tent campers, but those who want a bit more luxury can also choose to rent yurts. These yurts are located about a kilometer away from the tent sites by a beautiful, but small alpine lake. 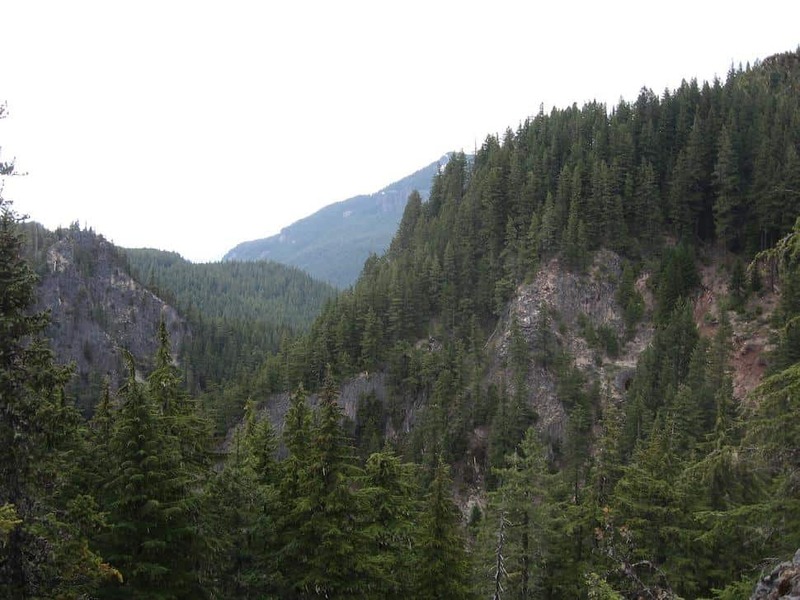 Back in the main campground area, there are sites located next to blue ribbon trout streams, situated by trails that lead to challenging, but scenic hikes and all overlooking the Cascade Mountains. While some of the trails lead into the mountains, they are somewhat far away from the campground. This makes it difficult for hikers to get there from the campground, but it makes the whole place quite scenic for the campers. As the sunsets behind the Cascades and the trout begin nipping at mayflies over the water, visitors will see why this campground is one of the best in Oregon. 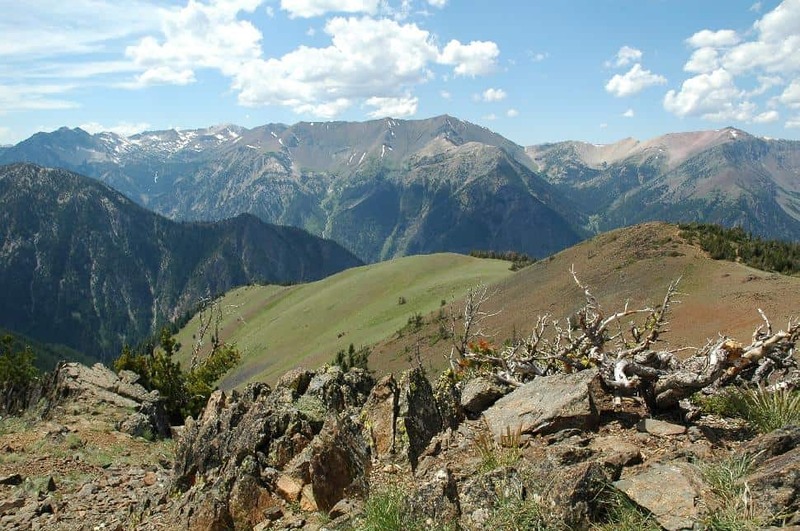 Grande Ronde Lake Campground is one of three campgrounds within the Wallowa Whitman National Forest and it is by far the smallest with only 8 sites. However, its small size is what makes it so unique. Since the campground is located off the beaten path and there are few spots available, this is one campsite where it is much like camping in seclusion. Even if there are other groups camping there, the sites are greatly spaced out with plenty of trees and brush in between for a high amount of privacy. The campground itself is located along the shores of the Grande Ronde Lake but is tucked away enough in the picturesque pine-fir forest to give campers a break from the sunny lake shore. Most campers that head to the Grande Ronde Lake campground are just there for the fishing. However, this tucked away little slice of fishing heaven is also popular with photographers. There is a reason Grande Ronde is referred to as 'picturesque' by nearly everyone. It is because it looks like it was plucked right out of a picture. Both professional and amateur photographers often stay for a few days at the campground to take pictures of the forest, the lake and the meadows. 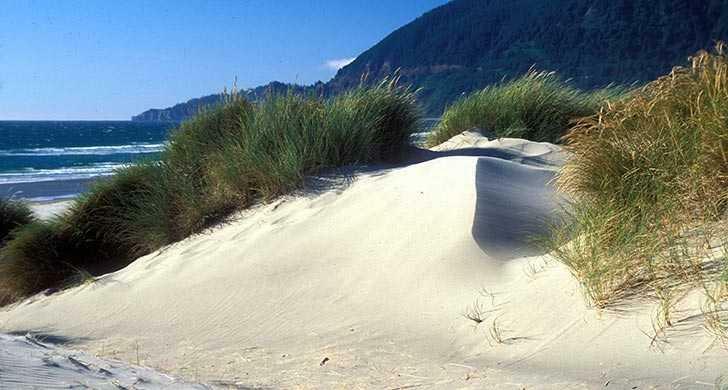 Nehalem Bay State sits just south of Manzanita and encompasses a 2 kilometer long sand spit that separates the ocean from Nehalem Bay as well as the beaches and wilderness along the bay. The massive campground for this park is sheltered from the occasionally chilly beach winds by gently rolling sand dunes. Though protected, campers will still have quick beach access as well as the ever present roar of the ocean. Since the campground is so massive, some of the sites have little in the way of privacy on the grassy bluffs, but others are a little more secluded in the woods. However, most of the sites are so close to the beach that all visitors have to do to get there is climb over the dunes. The ocean side of the spit is perfect for sand castle building and kite flying while the bay side is locally renowned for its crabbing, clamming and fishing. All the waters in the area are perfect for kayakers and wind surfers and since the nearby Oswald West State Park is now closed to overnight campers, this is the only place along the bay for prolonged beach adventures.